On Sunday it will be time for my son to make his first Communion. I will be making a cheesecake for him. I am still thinking of ideas of how to decorate it. If you have any, let me know. I made a cake for my daughter for her first communion last year and it was a simple cake, cut into a cross shape. I made it from three 9"x9" cakes, cut and stacked to look like a cross. It became a two layer cake. I used a double batch of my old chocolate cake recipe. Then I crumb coated it in buttercream, coated the top in buttercream and the sides in yellow fondant. 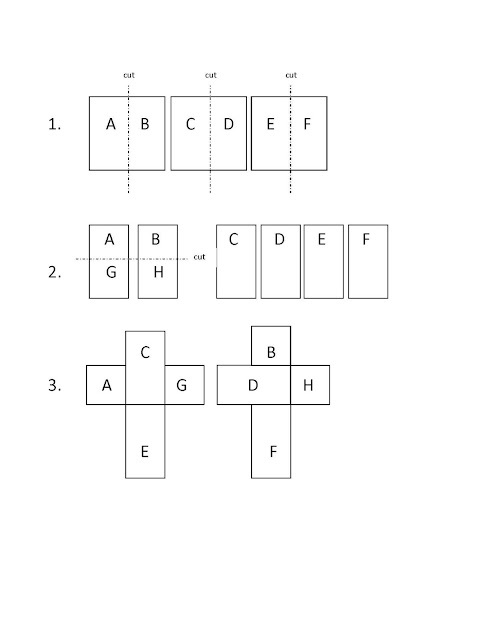 arrange the pieces to form the bottom layer of a cross using half the pieces. Fill with your favorite filling and arrange the other pieces to make the top layer, cross over as many seams as you can, to help hold the cake together. Best wishes to all first Communicants out there! 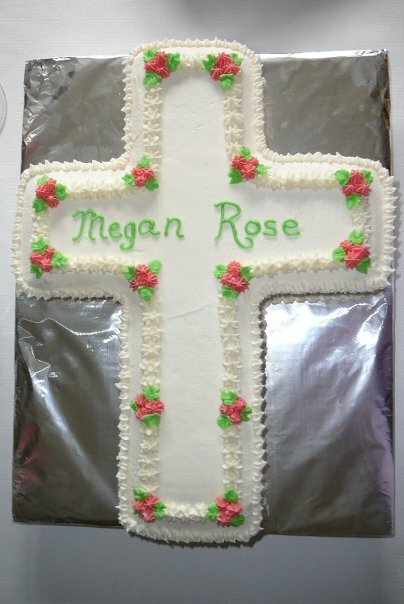 I remembered seeing another cross cake in your cakes album on Facebook, so I went and looked and there is a gorgeous cross cake for Megan Rose. Is that the picture you were looking for? It certainly is a beautiful cake. Also, I disagree, I think Kimberly's cake is also very pretty!!! You are so right, Rebecca! I forgot I put it up there. Did that a while ago on the old computer. 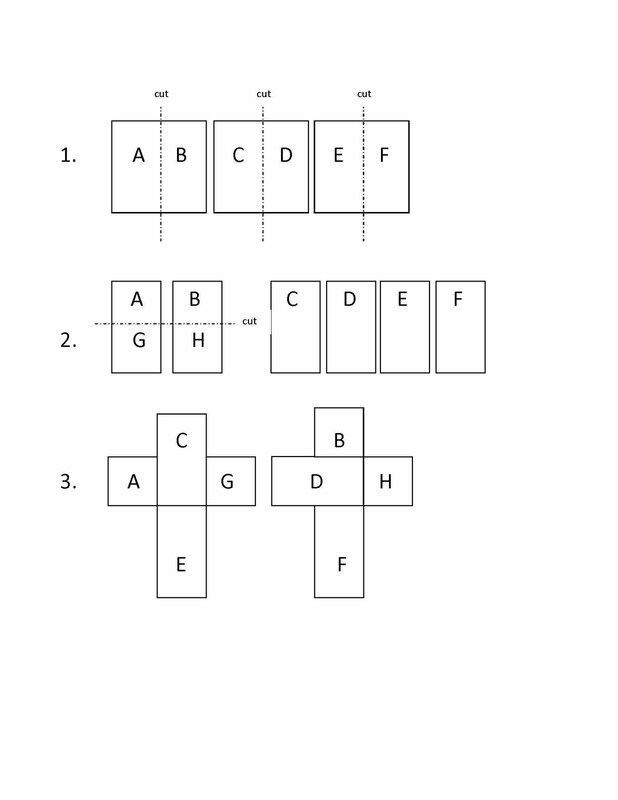 I will now try to add that picture to this post.